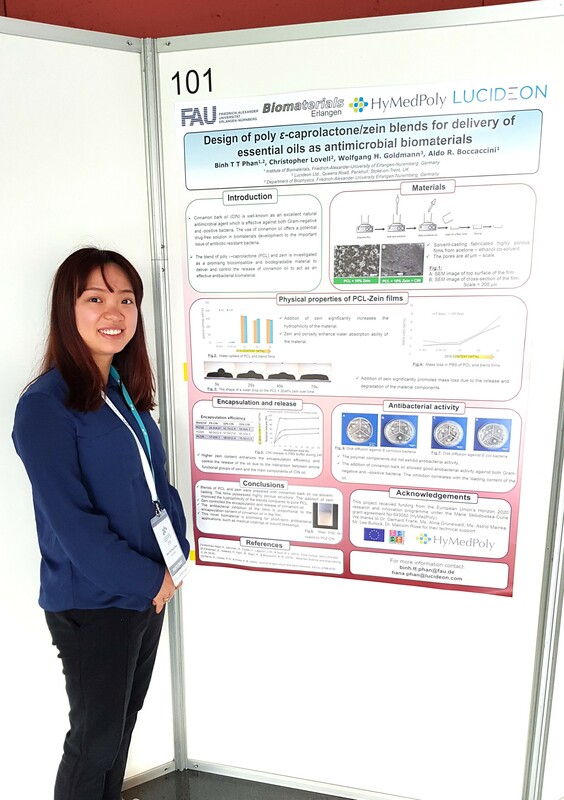 HyMedPoly PhD researcher Binh Thi Thanh Phan attended the 4th International Society for Biomedical Polymers and Polymeric Biomaterials, held July 15-18, 2018 in Krakow, Poland. This is the first time the ISBPPB conference and exhibition has taken place outside the United States. The conference attracted 255 delegates from 36 countries to join and discuss hot polymeric biomaterial topics, such as controlled release systems, drug delivery systems, antimicrobial polymer, biodegradable polymers and copolymers and tissue engineering.